Montreal is a thriving city with plenty of opportunities for business, culture and entertainment. You can create a nice quality of life in Montreal. However, Montreal is no “hidden gem.” The word is out, and plenty of people are moving there to take advantage of all that it has to offer. That means that real estate is a hot commodity. 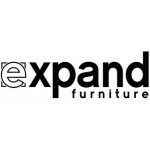 Find out how to save money and space with Expand Furnitures space saving furniture. A studio space offers you a great opportunity to save money on real estate in Montreal. However, you might wish you had more room for things like a home office space or a dining area. Instead of setting up everything on your coffee table and sitting hunched over and uncomfortable, you can make your coffee table do double duty by purchasing a space saving furniture table. This transforming table can convert from a coffee table to a desk or a dining table. The table top lifts up to waist height so you can do work or enjoy your dinner without developing back problems. You get two pieces of furniture for the price of one, helping you save money. It can be stressful to entertain when you don’t have a big space. Either you clutter the area with a huge table that sits empty the majority of the time, or you have to push together a bunch of end tables to create a makeshift space. Instead, you can use space saving furniture that transforms into dining room table. For example, some transforming furniture can go from a small desk to a large dining room table that holds eight to 10 people. The legs pull out, and eaves are inserted to create the dining table. You can easily create the entertaining area you need with no stress. If you have a home office space, you may not also have enough room for a guest bedroom. Instead of sacrificing one of the other, you can create a versatile space by using transforming furniture. 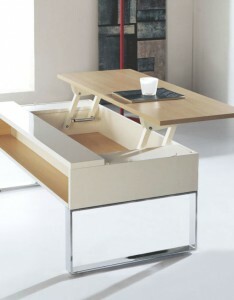 You can just collapse your desk into a console table or coffee table, and pull out the bed when the guests arrive. 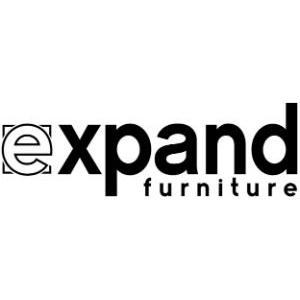 Expand Furniture offers the space saving furniture that Montreal residents need to save money, space and stress. Explore our catalog to find quality space saving furniture or other transforming furniture to convert your space from a home office to a dining area to a guest room to any other type of room you need. You’ll save money by buying one piece of furniture instead of two, and you’ll save space.